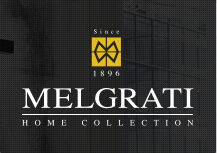 Melgrati has been offering premium Italian Contemporary Interiors for over one hundred years. Needless to say, being one of the world’s leading specialists in this industry means we’re doing something right. Get to know our company and the values and services that have helped us please clients for over a generation. First and foremost is our commitment to bespoke Contemporary Interiors. This means that each individual client receives a product and service that caters to their precise needs and desires. We handle everything from small units to large residences, taking the time and effort to learn precisely what you need and when. In fact, we’re so dedicated to meeting your demands that we will go the extra step of adopting any new options we otherwise don’t have in production. From start to finish, we apply a meticulous attention to detail to your every preference. For further convenience, Melgrati serves as your full-service operation for the entire project, including production, logistics, and management. We’re knowledgeable and up-to-date on all international regulations and standards regarding supply and safety, saving you the time and trouble of any technical hurdles. The end result to our professional and innovative approach is a personalized, cost-effective, and streamline Contemporary Interior Design project. It’s little wonder that we’ve stayed in business for so long amid all the competition. No other company in the industry can compare to our wholesome and customer-centered approach. To learn more, reach us at our Contact Page or by calling 1-786- 219-7517.